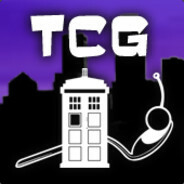 Twin Cities Geeks is a group for geeky folks in the Minneapolis/Saint Paul, MN area to share info on geeky events in MN, discuss geeky news and interests, and socialize. All post subjects are appropriate, so long as you feel they are of interest to the local geek community! We welcome all geek experiences, all identities, and do not gatekeep what's geeky and what isn't. If something wouldn't fly in one of our other groups, it also won't fly here. Please be respectful.